"Ke Le" was promoted online as an appetite suppressant for weight loss. SINGAPORE - The Health Sciences Authority (HSA) has found that the "Ke Le" weight loss product sold online contains two undeclared potent medicinal ingredients that could pose serious health risks. The ingredients, ephedrine and pseudoephedrine, are typically used as medicines to relieve blocked nose and cough. However, the recommended dosage instructions for the product would have caused unknowing consumers to take more than four times the limit of ephedrine for the treatment of common cold, flu and allergies. According to a statement issued by the HSA on Thursday (Sept 13), "Ke Le" was promoted online as an appetite suppressant for weight loss. The seller, a Singaporean woman in her 30s, had posted personal testimonies and photos of herself before and after taking "Ke Le" on a Facebook page named "S.C.L.T.W". She claimed to have lost about 11kg by taking the product. The product had been labelled in Korean, but tests conducted by the HSA revealed it contained ephedrine and pseudoephedrine. In the statement issued, the HSA warned that consuming such dangerously high levels of ephedrine can cause serious and life-threatening adverse effects. This is especially so for consumers with existing medical conditions, such as high blood pressure, heart problems and thyroid disease, or when taken together with products containing caffeine. Adverse effects include increased heart rate, anxiety, insomnia, high blood pressure, stroke, seizures and even death. 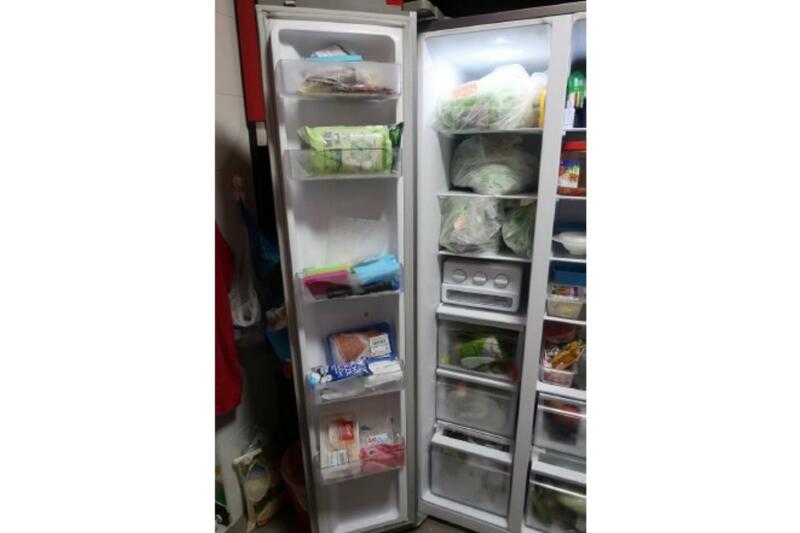 The HSA enforcement officers raided the seller's home and found packets of "Ke Le" hidden among other food items in her refrigerator. The products were seized, and the seller was instructed to remove the product listing from her Facebook page and cease selling the product immediately. The seller is currently assisting the HSA in investigations. Stop taking "Ke Le" immediately. Consult a doctor if you feel unwell or are concerned about your health. Be wary of health products, including beverages which promise quick and miraculous results in weight loss. They may contain undeclared potent medicinal ingredients which can cause serious adverse effects and interactions with drug or dietary ingredients that harm your health and well-being. Consult healthcare professionals before using any medication for weight management. Exercise caution when purchasing health products from unknown or unfamiliar sources online, such as personal social media webpages. The HSA also advised the public not to trust online product reviews, as these testimonials usually cannot be verified. When in doubt, don't buy, it added. Members of the public who have any information on the sale and supply of these illegal products may contact the HSA's Enforcement Branch on 6866 3485 or email hsa_is@hsa.gov.sg. All sellers and suppliers are advised by the HSA to stop selling the "Ke Le" product immediately, as they are illegal. Anyone found supplying illegal health products are liable to prosecution, and if convicted may be imprisoned for up to three years, fined up to $100,000, or both.